No one in our immediate family is blind, but we have been raising Seeing Eye puppies. 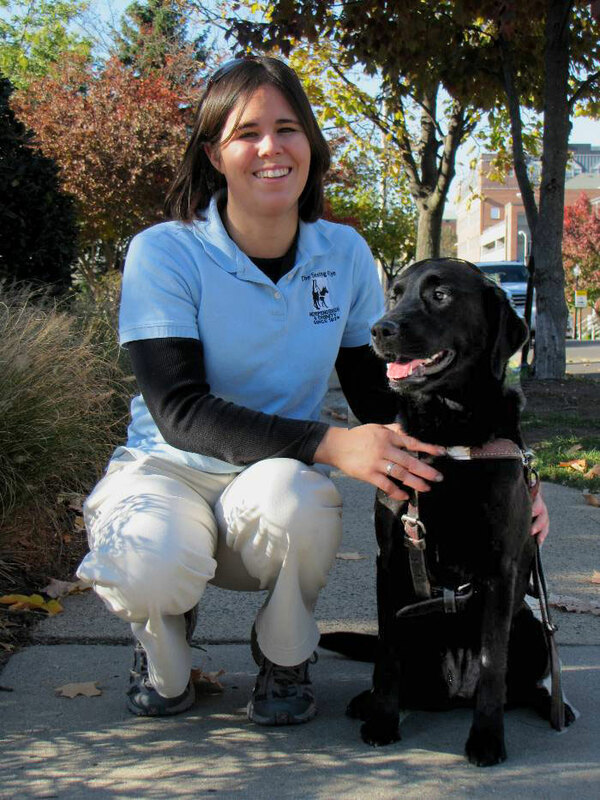 The Seeing Eye is the oldest guide dog organization in the world, having celebrated its 80th anniversary in 2009. 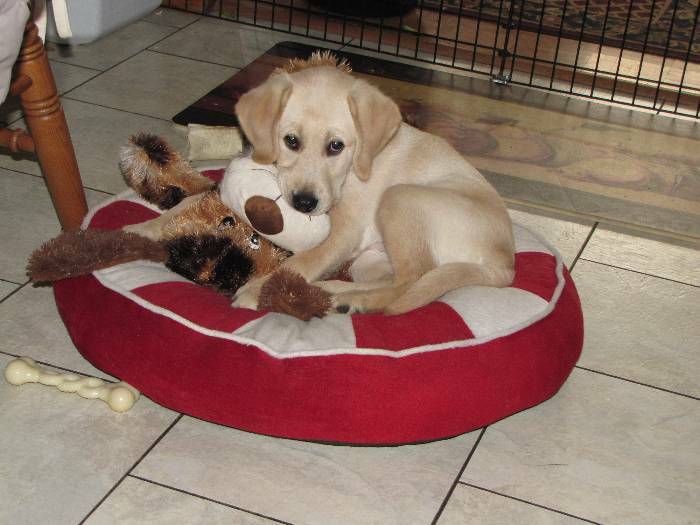 When we applied to raise a Seeing Eye puppy, we were told not to expect one for several months. Then a lady who was raising one injured her knee and needed an operation. 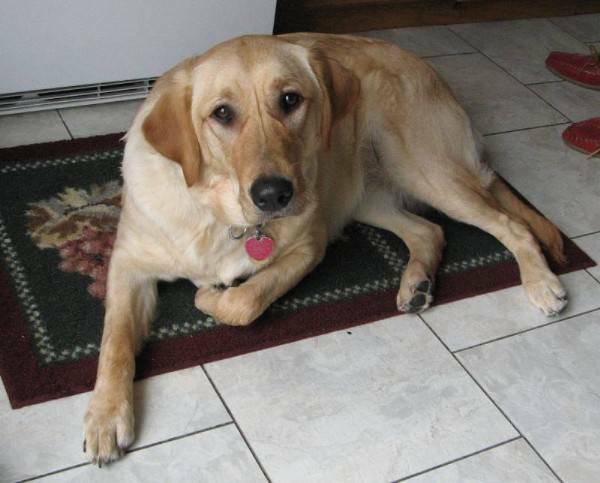 That meant that she couldn't keep her 9-month-old Lab/Golden mix. We offered to take over and got Venita on April 15, 2008 at nine months of age. She had already learned most of the Seeing Eye rules. 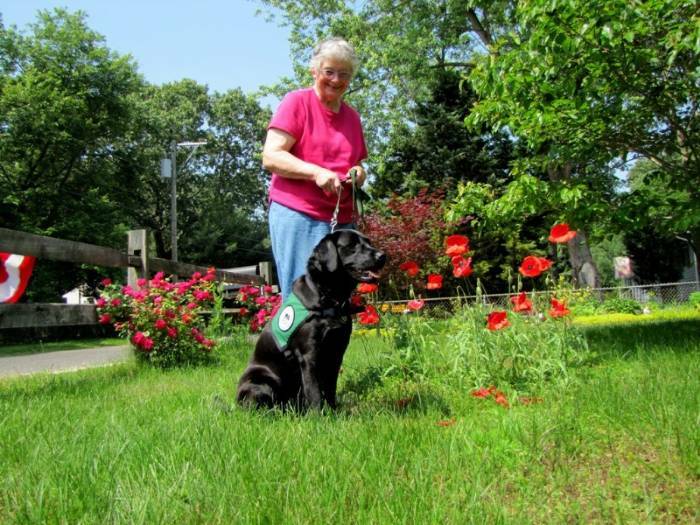 On September 8th, Venita went to the Seeing Eye headquarters in Morristown, NJ for four months of intensive training. 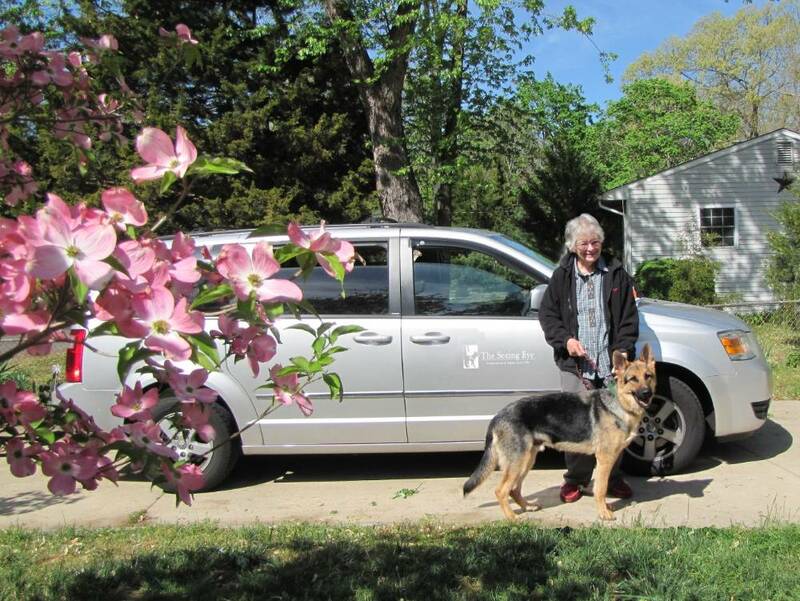 She became a guide and companion for a lady in North Carolina. In January, 2009, we got a second puppy from The Seeing Eye. She was a black Lab/Golden mix, but TSE named her Pumpkin! Her brother was golden, but they named him Pilgrim, but we don't name the dogs! We fell in love with Pumpkin and so did nearly everyone else. She delighted in giving unsuspecting persons, especially children, a quick kiss on the cheek, so we sometimes called her "Lickerish." 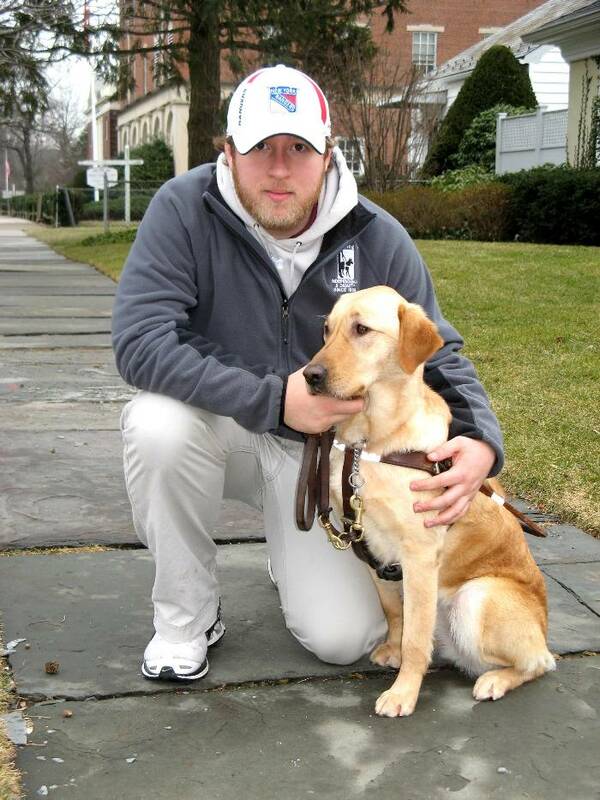 Pumpkin returned to The Seeing Eye in Morristown, NJ for her formal training on June 1, 2011. She is presently in the service of a man in Upper New York State. 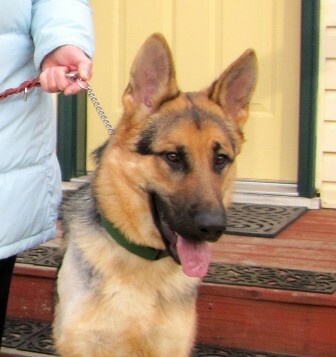 Our third dog had the given name, "TR" but that is the international code for Turkey, and TR is a German Shepherd! If you insert the German word for dogs, "Hunde," you get "Thunder." That would seem more appropriate, don't you think? TR returned to Morristown on April 24, 2012. 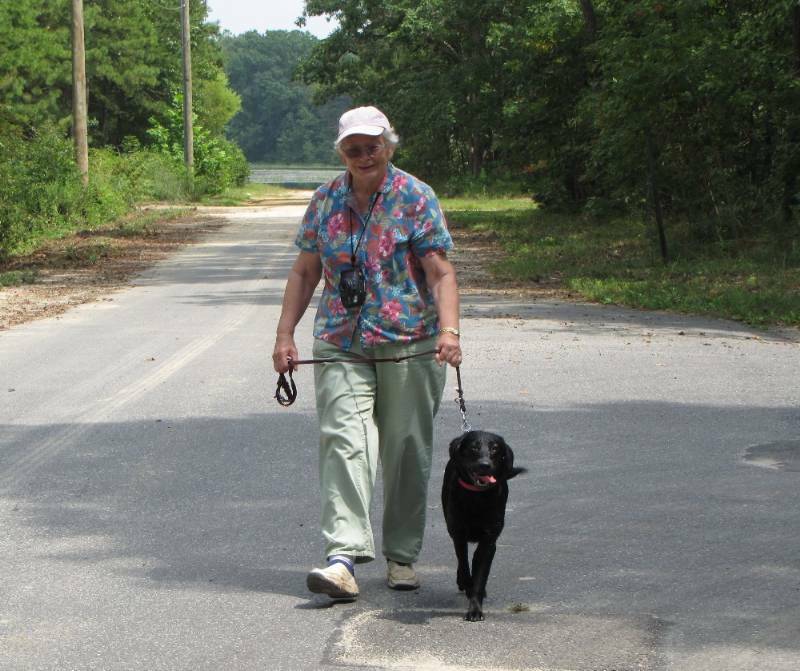 After TR came a black Lab named Betsy, but she was taken out of the program due to fearfulness of lawn mowers etc. She made someone a nice pet. 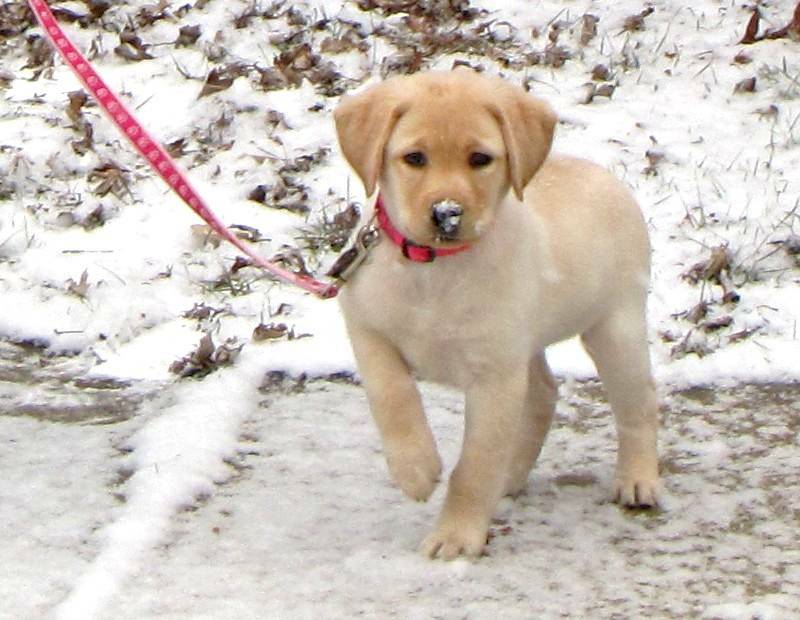 November, 2012, we got Nina, our fifth puppy from The Seeing Eye. Nina was a very special dog. 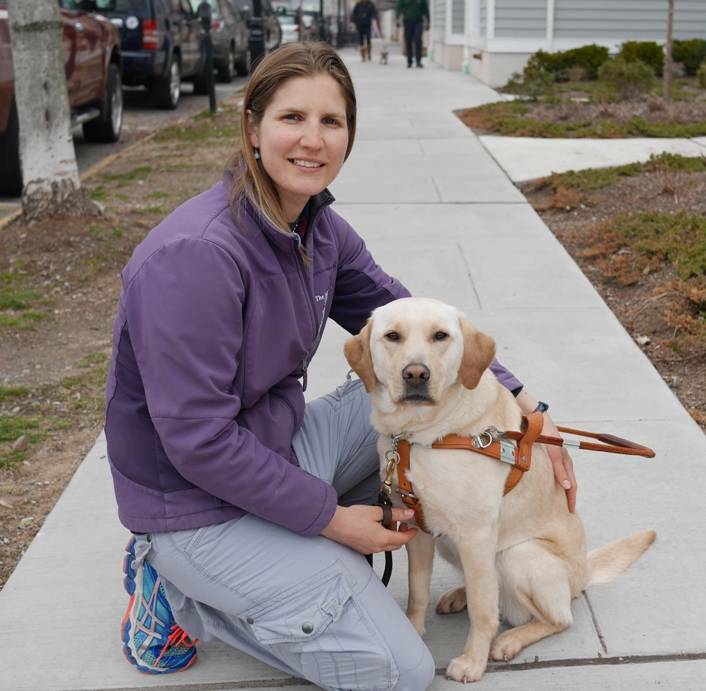 She "graduated" from training in Morristown April 7, 2014 and then received three extra months of training with a female university student who was blind and wheelchair bound. Here she is with her trainer. 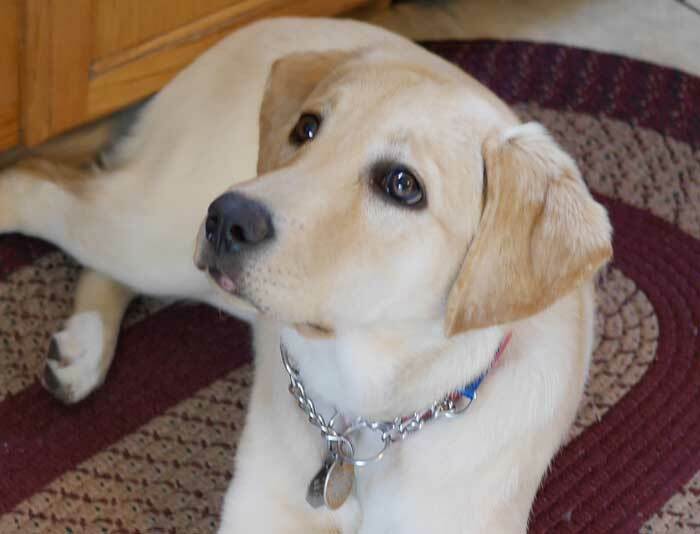 Our sixth puppy was Pippi and we enjoyed her from January 9th, 2014 until her return to The Seeing Eye on March 16, 2015. The next picture shows her in the first snow and the second was taken in May. I made a website for our Seeing Eye puppy raiser club with many photos of our activities. You can watch a video of "Venita's Town Walk" in Morristown on YouTube, download a 16 MB PowerPoint of Venita, a 7 MB PowerPoint called Thunder on the Boardwalk and another PowerPoint of Pippi(you don't need the program to play these). Read an article I wrote about raising puppies for The Seeing Eye, "From Wolves to Guide Dogs" and my book review of Susan Orlean's new book about Rin Tin Tin on my blog of May 7, 2012. I also uploaded a video of Pippi and her little friend Delta to YouTube: Pippi Gets a Visitor and one of Nina seeing herself in the mirror.